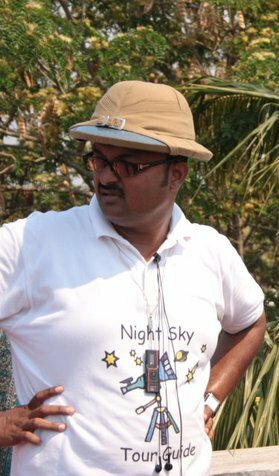 Recently I had a privilege of attending day time astronomy brainstorming workshop in Indian Institute of Astro Physics, Bangalore there I had the insight to the Shri. 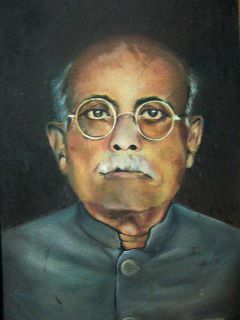 Pathani Samanta Chandrasekhar. I am dividing this post into two: one on brief history and other elaborately on his astronomical contributions. In India Astrology and Astronomy are two sides of a coin and Indian Astrology contains 80% Astronomy and 20% Statistics. 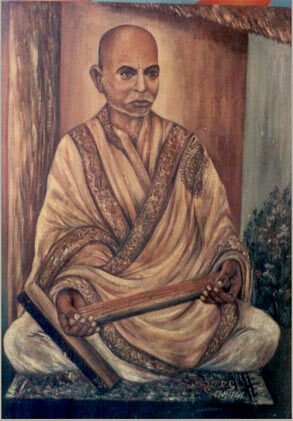 Mahamahopadhyaya Chandra Sekhar Simha Samanta Harichandan Mohapatra, popularly in Orrisa as Pathani Samanta, an astronomer of the rank in line with Aryabhata, Varahamihira, Brahmagupta and Bhaskaracharya and only SCIENTIFIC ASTROLOGER OF MODERN INDIA. Away from the English education, he taught himself Sanskrit and attained scholarship in traditional Indian Astronomy & Astrology. He fabricated ingenious instruments out of wooden sticks and bamboo chips and attained great accuracy in measurement. His scientific investigations are recorded in his astronomical treatise. Pathani Samanta Chandrasekhar was the Chief Court Astrologer to King of Puri and Jagannath Temple. He predicted his own death and died on the same date he predicted. He used manual mathematical calculations to find the Venus Transit of Sun in 1874. He used some homemade techniques like oil in water to see the transit! His only interview was to an American Magazine in 1874. The records are available with Orrisa Government. Samanta Chandrasekhar was born on the 13/ 12/ 1835,corresponding to Pausha Krishna Astami of the Saka year 1957 in Khandapara now in Nayagarh district of Orrisa .The principality called Gadajat ruled by a dynastic king, enjoying some degree of autonomy under the British rule. It was a small state with an area of 244 square miles, having its capital in the small township of Khandapara, situated about 20 KM from Nayagarh surrounded by hills and jungles. This kingdom was founded in 1599 and was being ruled at the time of Samanta, his nephew, the eleventh king named Natabar Singh Mardaraj. Samanta's father Shyamabandhu, and mother Bishnumali, was a very pious couple. They had nine daughters and one son before birth of Chandra Sekhar. Since one son and two of their daughters had died in infancy, they had named Chandra Sekhar as Pathani Samanta. His full name was Mahamahopadhaya Chandrasekhar Singh Harichandan Mohapatra Samant, He wrote the ‘Sidhanta Darpana’, which was published in 1899, by Calcutta University. The original manuscripts of 2500 Sanskrit shlokas/hymns were translated into Oriya script, on palm leaves, by Samanta Chandrasekhar. He received primary education in Sanskrit from a Brahmin teacher. He studied Sanskrit Grammar, Smritis, Puranas, Darshan and the original texts of many Kavyas/epics. When he was ten year old, one of his uncles taught him a little of astrology and showed him some of the stars in the sky. 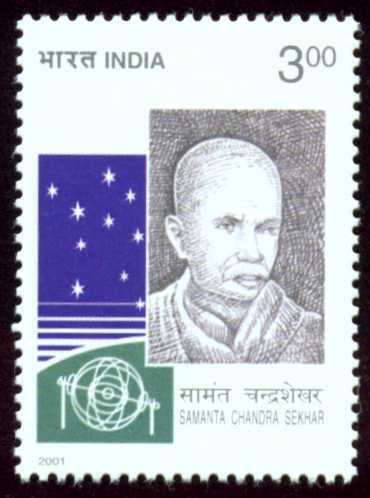 Samanta Chandrasekhar did not have any formal University education and his interest and efforts in Astronomy were completely self taught. “The Siddhanta Darpana” composed in Sanskrit Verse. This work was highly acclaimed even by the Western Press in 1899. Prof. Jogesh Chandra Ray played a key role in the publication of Siddhanta Darpana in Devanagiri script from a Calcutta press in 1899 with the financial support from the kings of Athmalik and Mayurbhanja. It must be noted that the scholarly introduction of fifty six pages in English therein by Prof. Ray, formed the window through which the outside world could get a glimpse of the valuable treasure contained in this monumental work in Sanskrit verses, which was hardly accessible. The title of Mahamahoadhyaya was convered upon him by the British Govt. in 1893 in recognition of his contribution to astronomy. 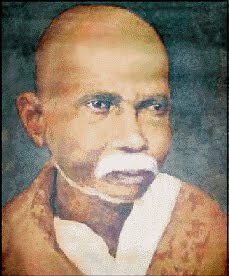 Samata Chandra Sekhar passed away in 1904. Even today most of the Oriya almanacs attribute their calculations to Samanta’s prescriptions. "Chandrasekhar was a keen observer and made meticulous observations of celestial objects with instruments that he had made himself. He was deeply perturbed on finding that the ephemeral elements calculated from classical siddhantic principles did not agree with his observations. The same perplexity had also been faced by Swai Jaisingh, early in the 18th century, and had given rise to the construction of his gigantic masonry observatories for the correction of ephemeral elements. One underlying factor that had been responsible for these perplexities was the freezing of classical Indian astronomical calculations away from observational verifications. The precession of equinoxes (Ayanamasa) had been noticed as far back as the Vedic times, by Indian Astronomers and had been entering the calculation of ephemeral elements as bija corrections – ad hoc corrections that needed to be applied with the passage of time, to incorporate the changes in ephemeral elements arising from precession. For about a thousand years before the time of Swai Jai Singh or Pathani Samanta – the emphasis had shifted away from observational verifications and ephemeral elements had remained uncorrected. " Elements from these, and create predicted ephemeral elements in the classical Siddhantic format for future observations. The resulting ephemeral elements were amazingly accurate. Samanta’s work was in the classical mould – with the assumption of a geocentric Universe, although his own model included the planets other than Earth, as revolving around the Sun. Equivalent mathematical formulations exist for calculation of ephemeral elements in the two different world systems – Geocentric or Heliocentric – and many observed phenomena require only the appropriate framework of calculations in order to accurately predict possible celestial events. Thus, Samanta’s inability to envisage or accept the Copernican revolution, did not prevent him from making many accurate calculations of contemporary celestial events in his lifetime and observing them. The most interesting of the celestial phenomena in his life time was the December 9 1874 Transit of Venus. This rare and inspiring event was visible from India and many other parts of the world. The Transit of Venus 8 years following that, in 1882, was not visible from India. Such an event was again visible on the 8th of June 2004, from India and other parts of the world, and had created lot of excitement amongst the amateur astronomers and educators. The underlying excitement of this event, being the possibility of recreating historical measurements of the Earth-Sun distance by students worldwide, through observations of the timings of this transit. Going back to the year 1874 – there must have been considerable excitement at that time too, with efforts from Astronomers worldwide, making expeditions to India, as one of the locations from where, the event was visible. There were also efforts by Observatories under the then British Government in India, to study this event. And then, there were observatories built by private individuals and princely states where activities were intense, for the observations of this event. Some popularizations efforts also seem to have been in evidence. Chintaman Raghunathachary, of Madras observatory, for instance, had made a popular booklet on this event, that had been translated into many languages, including Urdu. In all probability, none of this excitement reached the remote Khandapara regions of Orissa, where Samanta could have heard of this event. Did Samanta hear that there was going to be a transit and set out to observe it – or did he find that there was to be such an occurrence from his lifetime work of creating accurate ephemeral elements? Most probably, the latter, as there seems no evidence that there was any European Astronomical activity in the regions of Orrisa, at that time. The Italian expedition from the Palermo Observatory was to Muddapur in Bengal a neighbouring state to Orrisa and could there have been some information that reached to Khandapara. It is not certain and there seems no evidence of it. Even if the information did reach, Samanta would not have accepted it without his own calculations agreeing with that. All in all, it seems possible that not only did Samanta observe this Transit, but, he predicted it from his own calculations, unaware, of the excitement in the rest of the world arising from the Transits of Venus – in the 17th, 18th and 19th centuries. The mention of the ratio of the bimba/image or apparent angular diameters of Venus and Sun as 1/32 is very interesting. On the date of these observations – the 9th of December 1874, the apparent angular diameters of Sun and Venus, respectively, were – 32 minutes, 29 seconds of arc and 1 minute, 3 seconds of arc. The ratio then would have been discernible as 1: 30.93. This ratio would have small variations from one transit to another due to the ellipticity of orbits involved. In the year 2004, for instance, the apparent diameters are – 31 minutes, 31 seconds for Sun and 58 seconds of arc, for Venus so that the ratio discernible would be 1:32.6 for the coming Transit of Venus. Pathani Samanta’s observations were completely non telescopic, and made with handmade instruments – and the accuracy achieved seems extra ordinary. In theoretical calculations and observations of the Transit of Venus, Samanta’s achievement would be considered comparable to that of Jeremiah Horrocks, though poignantly anachronistic. Thank you a lot for such article on Samanta Chandrasekhar.But unfortunately the photo you have added is not of Samanta Chandrasekhar, this photograph is of his Grandson Late Raghunath Singh Samant. If you need some help regarding his archievements & phographs then feel free to contact me. This is a very good post. Your blog looks very good. Covered lot of information. really nice one. I am an astrologer and an astronomer also. please find some more facts in my blogs. Actually, the original contributor whose writing from an article in DREAM 2047 has been placed with a cut and paste in the last 5-6 paragraphs here, is not acknowledged.